In the wonderful Peter Bogdonavich film Runnin’ Down A Dream, Heartbreaker lead guitarist Mike Campbell revealed the secret formula at the heart of so much of the band’s phenomenal success over their more than 30-year career: “Don’t bore us, get to the chorus.” Well, the times, they are a-changing. It’s a brave new world for Tom Petty & The Heartbreakers and it must please Petty to no end he and his mates have decided to broaden their horizons not by looking forward but looking back. There’s also something beautifully perverse in following up a four-hour documentary of your band with a 15-song serving of revisionist history. It took more than 30 years for The Heartbreakers to become the blues band they’ve always wanted to be... in some fashion. This shift for the band is not a marketing gimmick nor cosmetic change. The album title exposes Petty’s deep understanding and appreciation of American blues. Mojo is a great title for a blues record, the word and its many meanings being a vital part of the language of the idiom. Thumb through the liner notes and skim those album credits. Mojo was recorded live, everyone playing together and with minimal overdubs, each song cut in one day. Many of the instruments are late ‘50s and early ‘60s models. Many of Petty’s heroes had to record this way but The Heartbreakers are doing it on and with purpose. The textures, openness, and dynamic range could not be captured or presented any other way. This is a classic vinyl LP pressed on to CD (the album is available on vinyl as well as Blu-ray DVD-audio). For this album, the band should have renamed themselves Mike Campbell & The Heartbreakers. Longtime listeners and those who’ve seen the band in concert know what an extraordinary talent Campbell is and what a vital cog he’s been in the Heartbreaker machine. This is his coming out party, his reward for years of having to keep his solos brief so as to not run afoul of the band’s motto. There are some very good blues players who could take a lesson from Campbell. He takes advantage of his first real opportunity to display his prowess not by splashing seizure-inducing flurries in every crack and crevice but by exploring and expanding on traditional blues patterns and ideas. He’s not playing anything you’ve never heard before, he’s playing the familiar but keeping it fresh by remaining tasteful and efficient. Some of these songs take their blues cues direct from the source of the vintage sound of Chicago while others borrow from American rock bands who created an interesting way to split the blues atom for rock and roll purposes. “Takin’ My Time” and “Lover’s Touch” both mine the essential Willie Dixon songbook, the former using his unmistakable stop-time riff while the former has shades of “The Same Thing,” a song most famously associated with Muddy Waters. On “First Flash Of Freedom,” Campbell summons the spirit of Dickey Betts and the Allman Brothers Band creating that distinct twin twang of Gibson guitars. The Allmans are again summoned on “Let Yourself Go,” this time owing to way Benmont Tench recreates Gregg’s jazzy organ style beneath more great lead guitar from Campbell. “I Should Have Known It” would have sounded right at home on Aerosmith’s titanic, bloozy Rocks, boasting shrieking leads that would make Joe Perry and Brad Whitford envious. There is one small downside to the Mojo approach. The motto that served The Heartbreakers so well for so many years yielded great hooks aplenty and some of the most memorable singles in FM radio history. This is a fantastic record on so many levels but it lacks the great singalong moments we’re so accustomed to on a Heartbreakers record, a sad casualty but a small price to pay for a record that is consistently and continually satisfying. 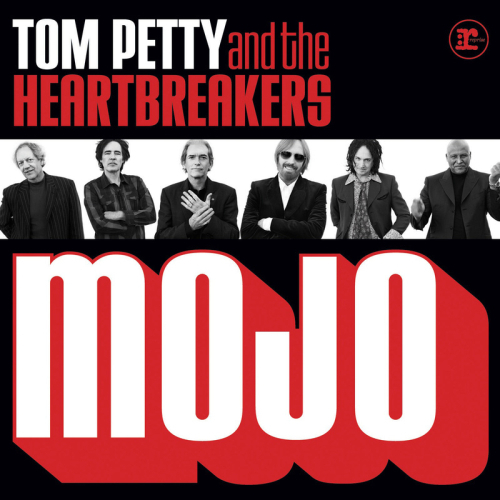 Mojo is tough to place within the Heartbreaker discography. It stands apart from everything they’ve done which is an impressive achievement in and of itself for a band entering their fourth decade together. That they sound so damn good doing it- well, that’s not a surprise either.